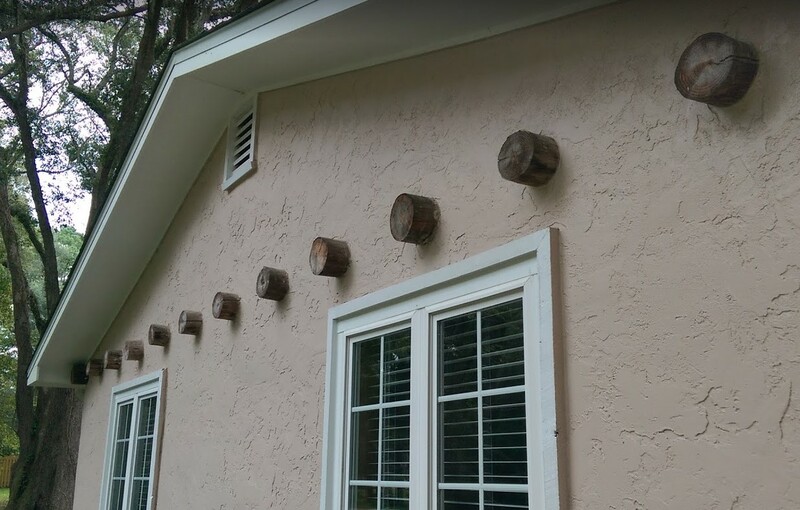 What are some options for removing these decorative log ends on the exterior of my house? The stucco is traditional (real) stucco. There is a possibility that the logs may penetrate the sheathing and be secured to the framing somehow. However, they also appear to be located right around where the top plate in the wall framing would be, so I'm not sure how that would work. That would also be a lot of extra work for the sheathing guys, so maybe I am wrong on that. The house is in Florida. Remove the logs in the easiest and least destructive way possible. Possibly flush cut somehow? Repair the sheathing if necessary and ensure proper waterproofing. Install a new horizontal trim board where the logs are now, and install cement board shakes in the gables on top of the existing stucco if that is feasible. Similar to the shakes in the example below. 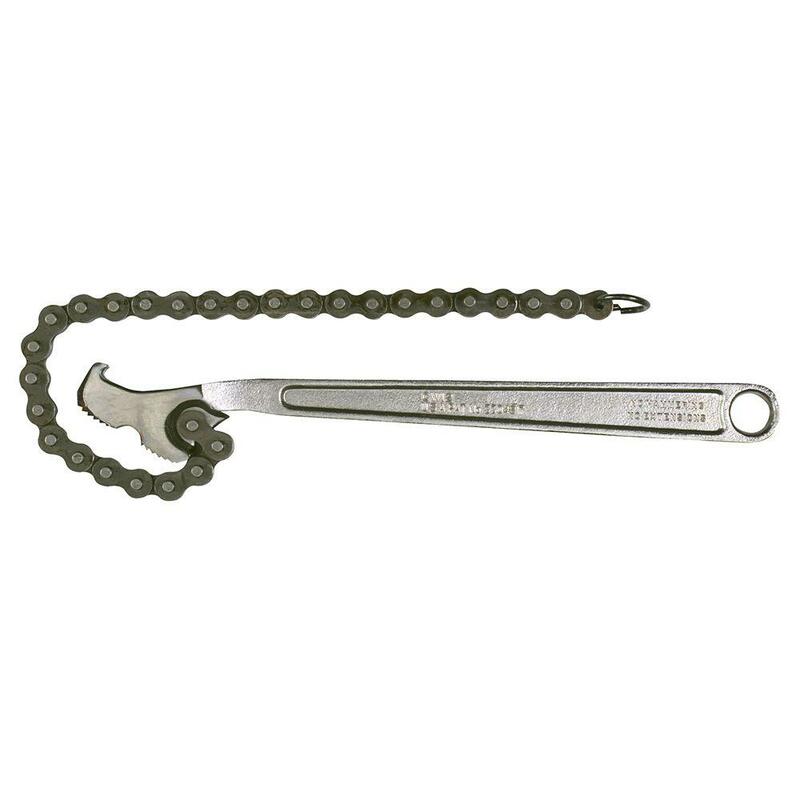 I have removed similar but square beams using a hatchet and a hammer, with quite a few the split right at the anchor and I was able to remove the anchor with vice grips. There were a few that I had to split several times both horizontally and verticly until I found the anchor. The beams were embedded. Over the tar paper but the metal mesh had been cut I am guessing so they would be tight. We did restucco prior to painting and it looked fine but your slate shake/ cement board will look very nice and you wouldn't need to fill the holes. That really is an unfortunate design choice - I can understand your motivation! And the plan to cover it with trim & shake is a good one - you'd never make it look good trying to patch & match the stucco. But it will damage the stucco in the immediate vicinity. This could make the flush cutting option more difficult as well. Given that you're going to cover this area anyway, I think I'd just go up with some tools - hammer, big screwdriver, prybar, etc. and poke at one and see if you can figure out what's going on. There's probably a half-rotten one anyway. Not the answer you're looking for? Browse other questions tagged exterior trim stucco or ask your own question. How can I remove flaking (likely lead based) paint from very rough, exterior stucco? 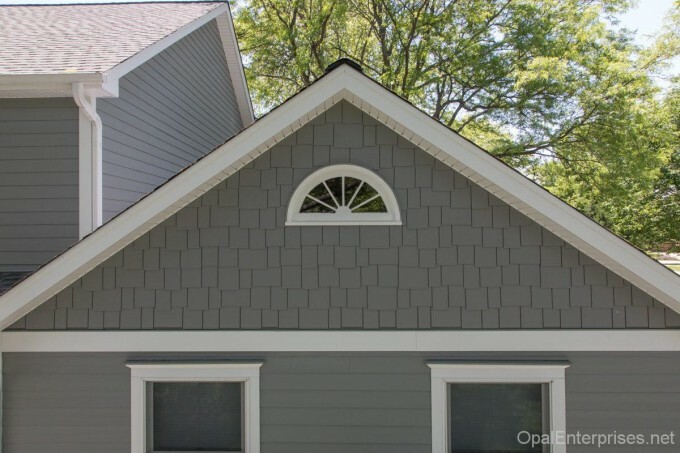 Is this decorative trim or exterior bracing? 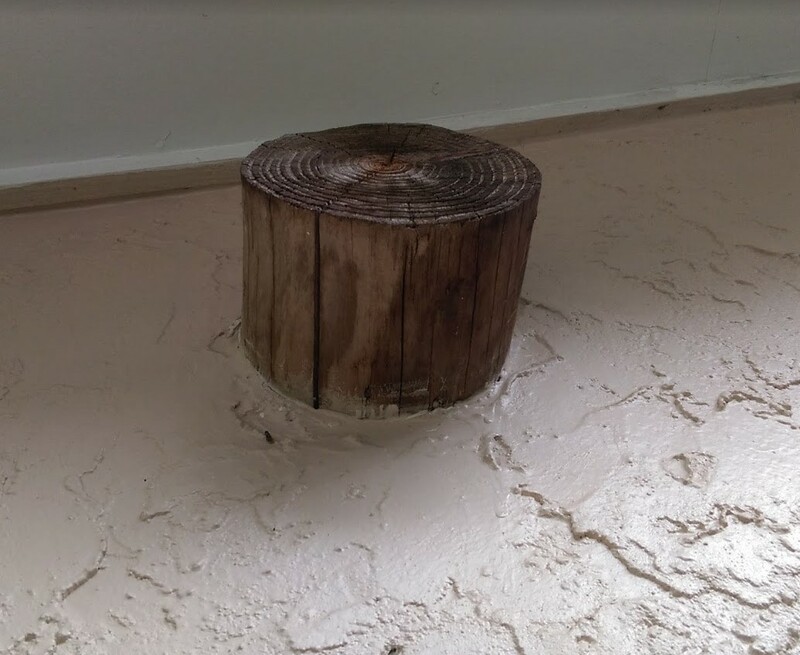 How to repair wood rot on exterior (decorative) exposed beam?